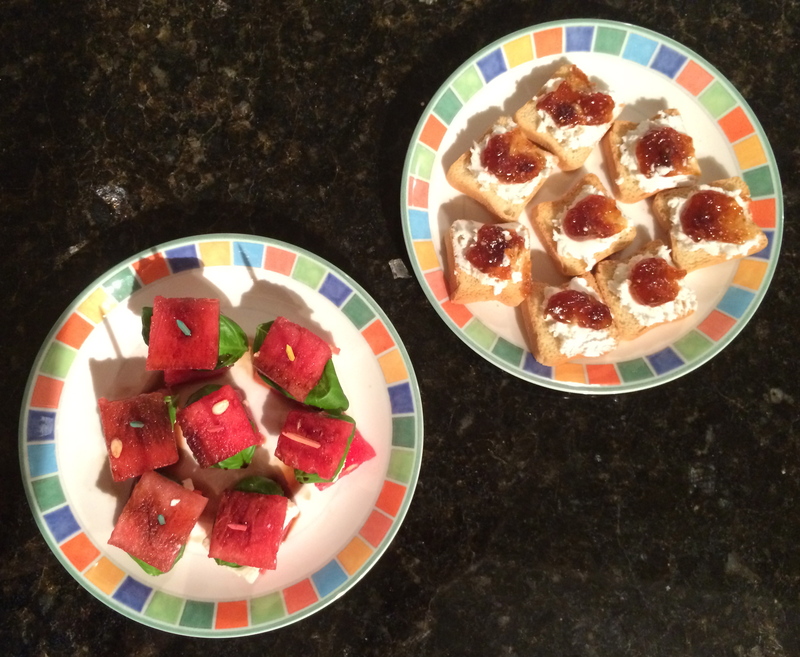 Yes you read that correctly, here are two too easy appetizers that look and taste very gourmet. 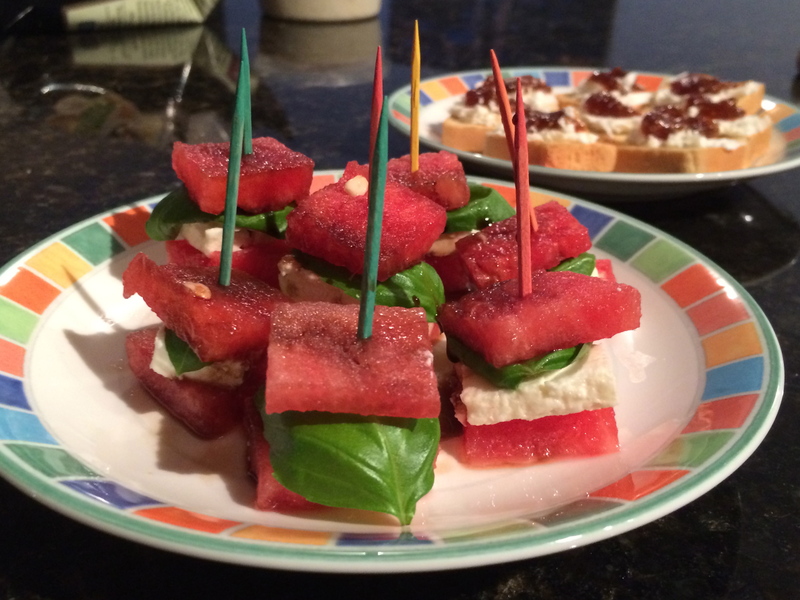 For the watermelon appetizer, all you need is, of course watermelon (can buy them already in cubes from the store and cut them to your liking), feta cheese (better to buy a solid square piece than the crumbled one), basil, balsamic vinegar (or balsamic glaze) and some toothpicks. Once you’ve arranged them on the toothpicks drizzle them lightly with the balsamic vinegar or glaze. I like it better with the glaze because it’s sweeter. 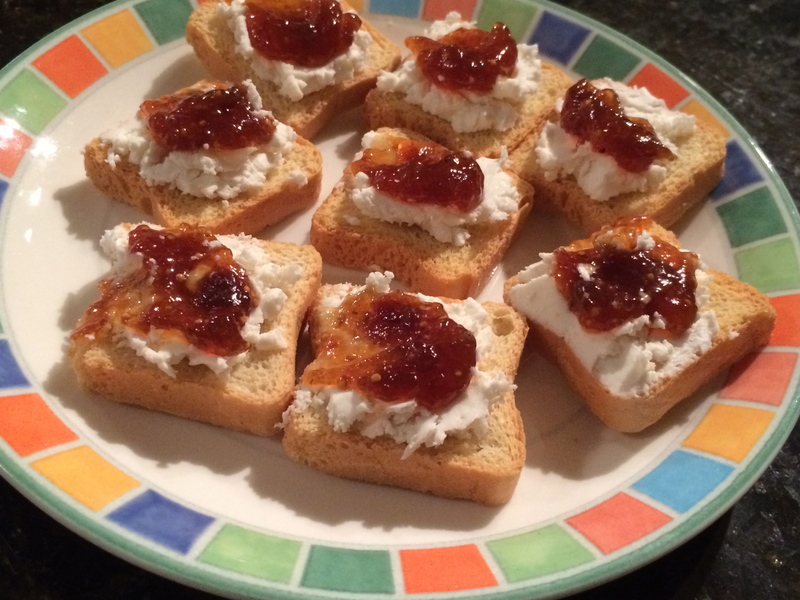 For the goat cheese appetizer, you’ll need mini toasts, goat cheese, and some good quality fig jam (I like to use the Dalmatia Fig Spread). These will definitely not last long! Everybody loves these!